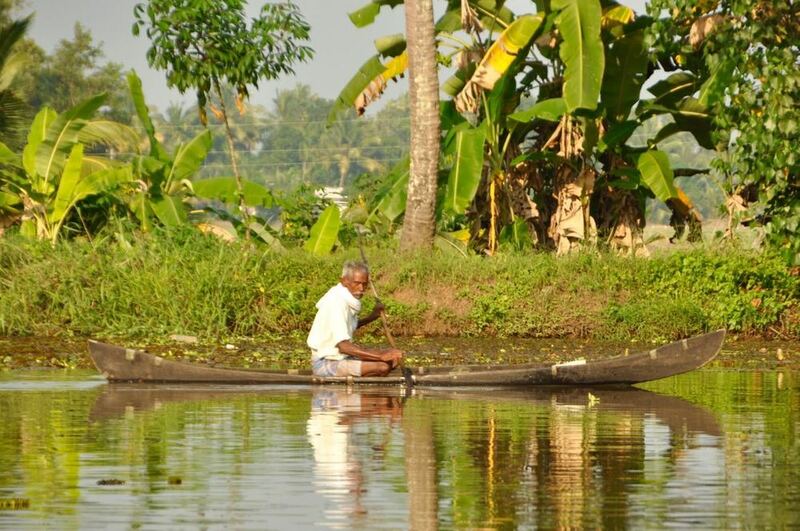 The backwaters of Kerala are one of the most amazing and enchanting sights in India. For hundreds and hundreds of miles an interconnected series of freshwater rivers, lakes and lagoons run parallel to the coast of the Arabian Sea, forming a maze that serves as a highway for the people living along its shores. 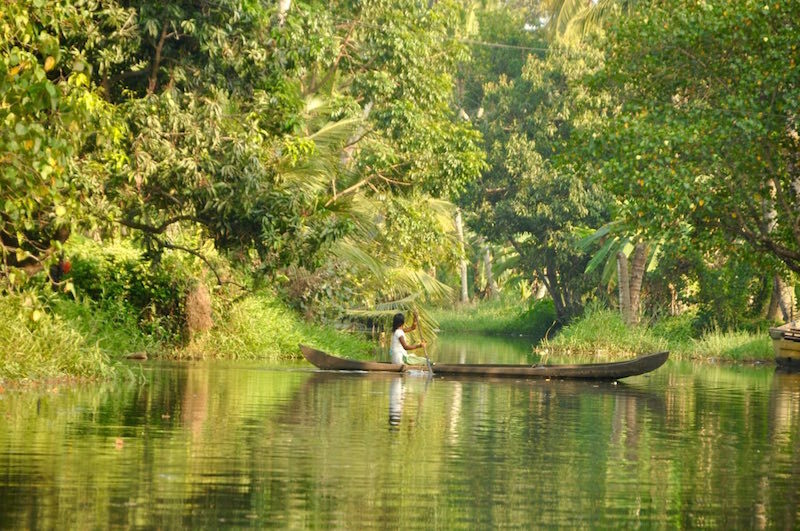 Lush green plants line the backwaters, creating a landscape of breathtaking beauty. Brilliantly coloured birds flit in and out of the trees, diving into the water to emerge with a fish clasped in their beaks. Palm trees arch across narrow waterways, forming a shady lane through which you can float, seemingly without end. 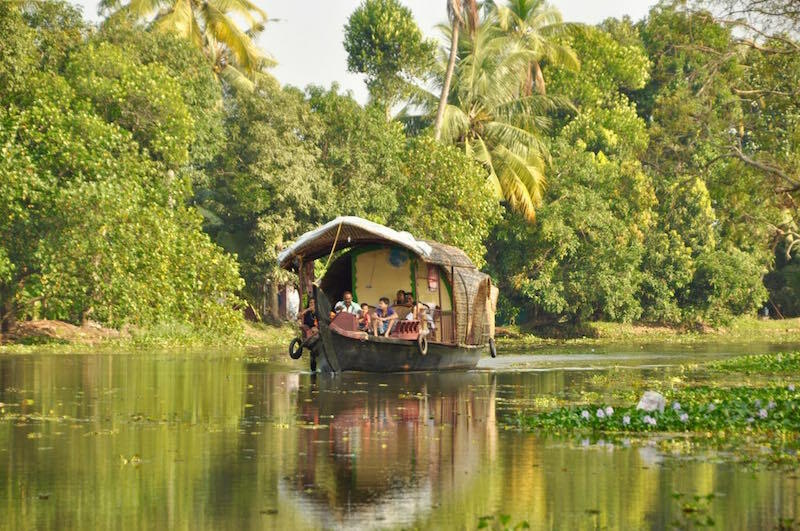 The best way to explore the backwaters is to rent a boat and spend a few hours cruising aimlessly. 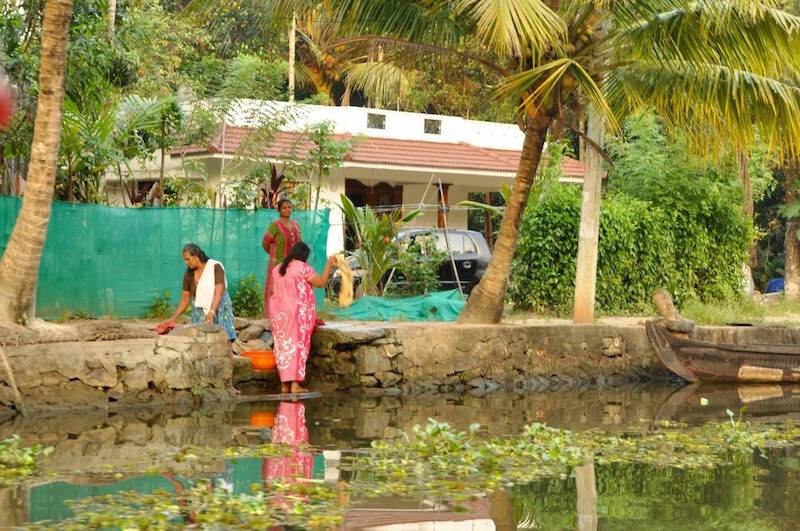 You pass through many settlements and get to observe village life up close. 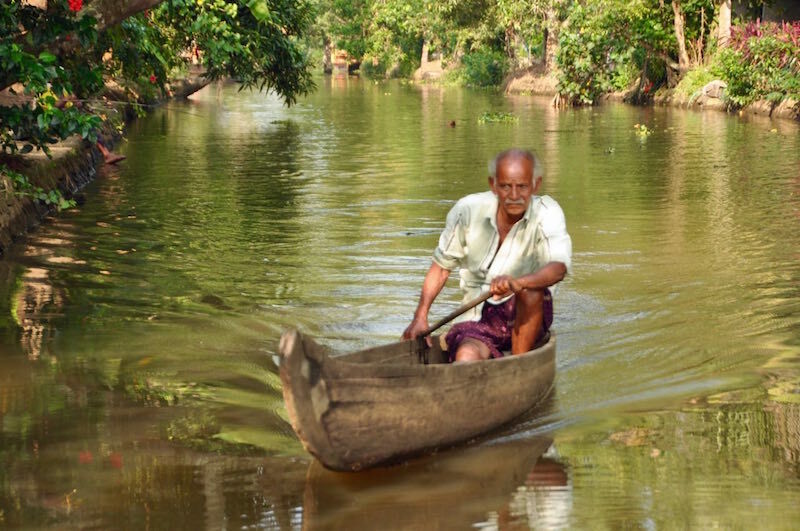 Men commute to work in little canoes. Women walk across bridges over the canals as they go shopping. Children dive into the water. Families gossip in back yards of houses or cast fishing lines into the water to catch dinner. 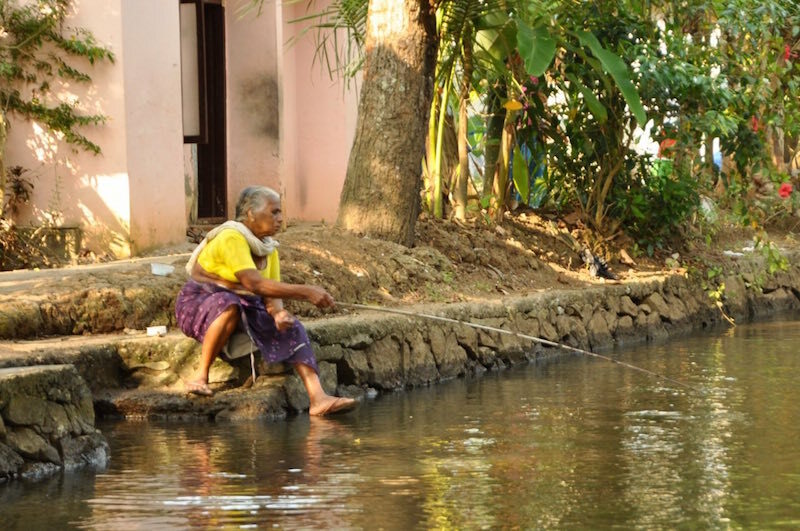 You see women doing their laundry by the water's edge. You have this incredible sensation of being an invisible part of the activity swirling all around, as you glide down the waterways. 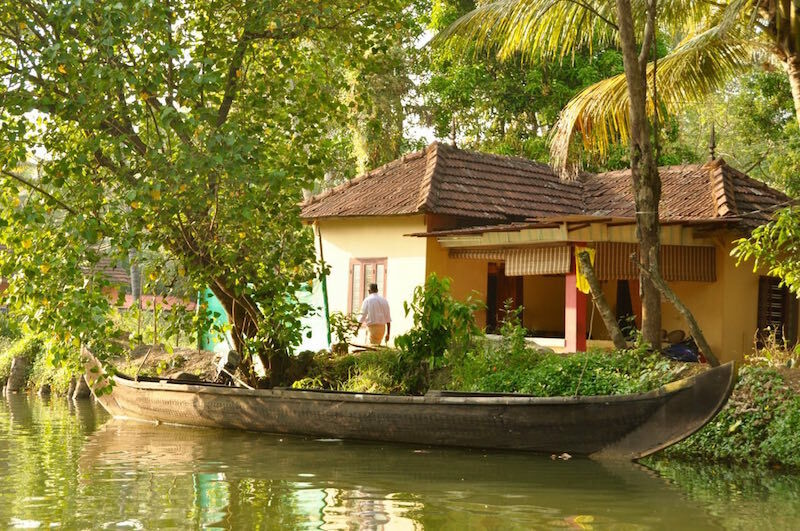 Should you wish to spend even more time in the backwaters you can stay in one of the many houseboats that line the shores. 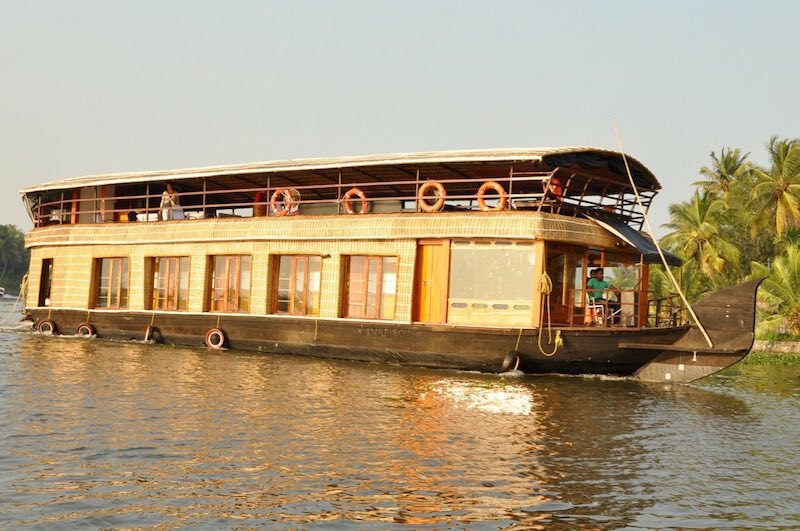 Made from the barges that transported rice from the many farms in the region, they have been upgraded and are often quite luxurious accommodation, with multiple bedrooms, air-conditioning and your own private chef! These houseboats leisurely make their way along the waters and are one of the best way to relax and enjoy the scenery while savouring good food! Coconut grows abundantly in this area and is used in almost every dish. We came across some delicious tandoori chicken laced with coconut cream in the resort we were staying in and managed to get the recipe. It was served with pickled onion rings, lemon wedges and naan fresh from the tandoor. Served outdoors while enjoying a live musical performance, It was a meal to remember! Coconut cream makes the chicken incredibly soft and tender and also helps mellow out the spices. You can also substitute skinned chicken drumsticks for the chicken breast or try cubes of paneer for a vegetarian option. Combine remaining ingredients, except butter in small bowl, mixing well. Pour over chicken, toss well to coat pieces with marinade. Cover and refrigerate chicken overnight for flavour to develop properly. Thread chicken onto skewers and place on medium hot barbecue. Grill covered for 8 min per side, turning skewers once. Baste occasionally with marinade to keep chicken moist. Brush with melted butter 2 min before taking off the grill. Serve with wedges of lime if desired.